You are here: News / Kelsea Takes on LA’s Staples Center! Kelsea Takes on LA’s Staples Center! 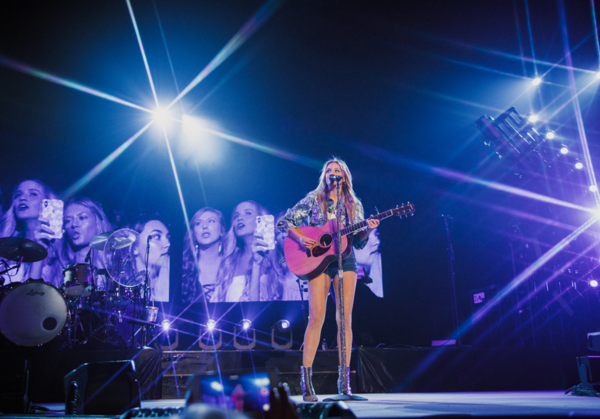 This past weekend Kelsea reached another performance milestone in California as she dominated her biggest arena set to date at Los Angeles’ Staples Center! As support for Keith Urban’s Graffiti U World Tour, Kelsea added several new songs to her set for this legendary night including, her new collaboration with The Chainsmokers, “This Feeling,” new songs from Unapologetically (Deluxe Edition) and even invited pop star Bebe Rexha to join the stage as the two sang Rexha’s “I’m a Mess” together. Another epic night on the Graffiti U World Tour!